An electrical panel box is a large steel box that holds numerous circuit breakers, which are under-wired to circuits that distribute electricity or power throughout your house. 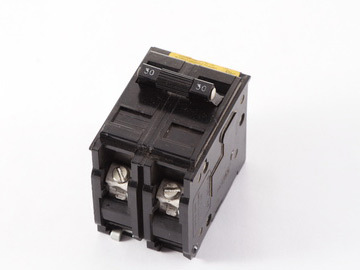 These circuit breakers turn the electricity on and off to safeguard wiring from destruction when an electrical over-current or short occurs. The electrical panel box's size and number of switches is all reliant on what appliances you have in your home. 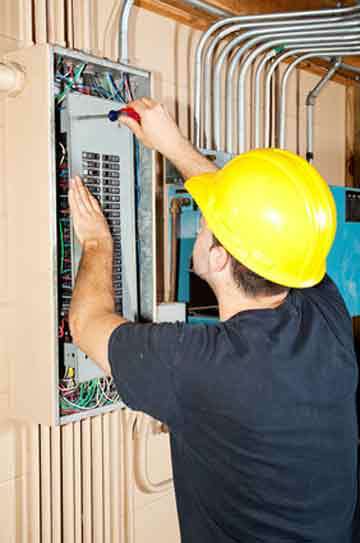 Always hire a licensed electrician to handle all aspects of an electric panel box and do not attempt any changes yourself. 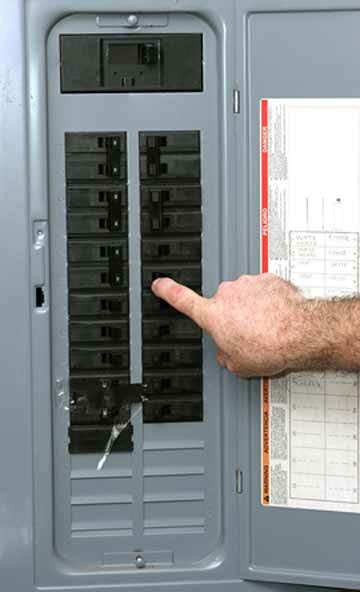 If you have to increase the number of circuit breakers, then you need to acquire a new electric panel box. You may consider changing your electrical panel box or adding another sub-panel if a requirement for additional breakers goes beyond the capacity of your present panel or if you have to upgrade from fuse to circuit breaker. It is significant to remember that a new electrical panel will not give more electricity to your home. When your home requires more power, request the services of a proficient electrician to increase the power, a procedure that involves adding a new panel as well as other fixtures, such as a new electrical meter and new cables. Before buying a new panel box, take time to evaluate your current and future electrical needs in so you will get the right one that will suit your electrical needs. Check with your utility company to make certain that you choose a panel box that conforms to your local code and all other requirements. There are various types of electrical panels to select from, which meet a particular code application or requirement, depending on your location. Consult you local authorities to define which type of electrical panel follows your area's compliance requirements. Main breaker panel has an incorporated main breaker that can be used to switch off all power in your home. This main breaker is a big double-pole breaker that restricts the amount of power coming in to safeguard the circuits, which it feeds. The main breaker also detects the panel's amperage capacity. The main breaker can be fitted when the feeder and meter cable are within 10 feet of the electrical panel. Main lug panel does not contain a main breaker. In lieu, the line wires trip to lugs. The main lug panel needs a different disconnect. Furthermore, the main breaker which would serve as disconnect may be positioned at the meter. If the main lug is utilized as a sub-panel, the main lug may be attached to the circuit breaker at the main panel box. In case of fire, the different disconnect can be useful to fire experts, who don't need to enter the house to cut power. Sub-panel is a separate breaker panel that can comprise new circuits, letting you to better manage your usual usage patterns. The sub-panel, also known as circuit or service breaker, can be a good solution when an electrical panel does not have sufficient space to add new circuits. The sub-panel is also perfect for conditions where many circuits are required in a single distinct area. You need to remember, however, that sub-panel does not upturn the quantity of available power. The sub-panel is usually powered by the circuit from the main panel plus it does not have its specific main disconnect. The amperage rating of the circuit in the main breaker box must be the equal or lesser than the grade of the sub-panel attached to it. The only restriction for the quantity of sub-panels you can install is the number of spare circuits within the main breaker panel. If your house was constructed before 1990, then it may have a Federal Pacific Electric non-compliant circuit breaker that could be a fire hazard. The "Stab-Lok" circuit breaker panels, which have been manufactured by Federal Pacific Electric, were installed in many homes and might cause fires. The CPSC or Consumer Product Safety Commission conducted an additional analysis of the Federal Pacific Electric breakers in the 1980s. Debate and legal contests followed the testing. Numerous homeowners requested CPSC to recall the circuit breakers, but these products were never recalled. 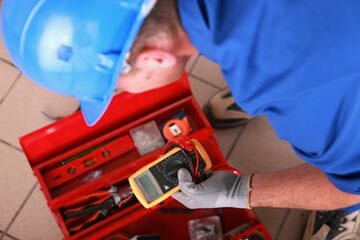 If you have questions or concerns, you'll need professional residential electricians to assist you with your panel box. This is a hazardous component and should not be handled by anyone other than an experienced licensed electrician. Electrical safety is an essential part of preserving a secure environment in your home. Some electrical problems can cause electrical fires. Professional electricians can help you avoid these problems by conducting an electric inspection of your home. 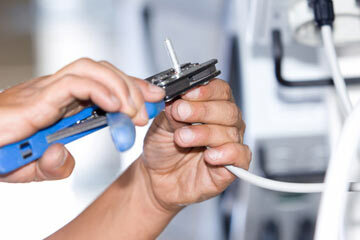 Licensed local electrical contractors will offer electric repair and expert electric installation. The information provided here is meant to give general information. 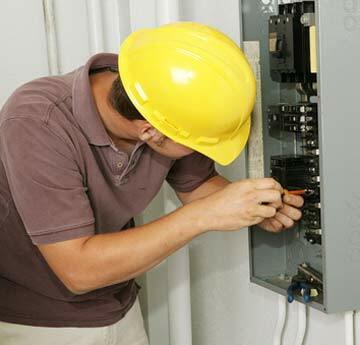 Please always consult with a professional licensed electrician for your specific electrical panel needs. Information provided here may be incorrect, out of date or not accurate for your specific electrical panel box needs.